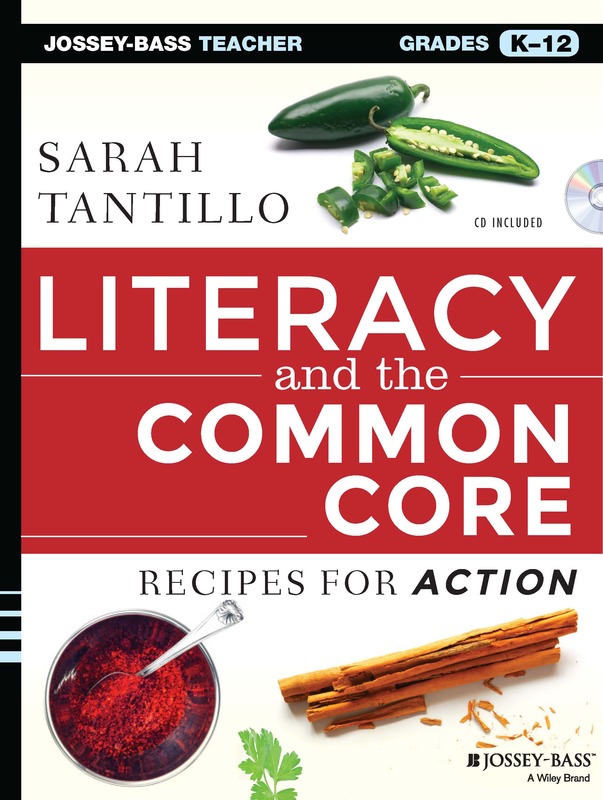 ← COMMON CORE READING: A Solid Resource for Texts and Materials! In many schools where I work, they have opted to divide the responsibilities for mastering the PARCC writing tasks: the ELA teachers own the narrative and literary analysis tasks; the Social Studies/Science teachers own the research writing tasks. This post explains how to begin preparing students for the PARCC research writing task. Future posts will deal with the other two genres. *PLEASE NOTE: This post was originally written in 2014, before PARCC released any student exemplars. Now you can find PARCC-released student exemplars HERE. Generic Template for the research writing task for your grade level: Refer to the PARCC online practice tests, and see 7th-grade model below. Sample Writing Prompt #1: You create this based on content your students are familiar with. Sample Exemplary Response #1: You create this (*see note above) based on 2 texts and a video and a question you design, using the Generic Template. Note: You do not have to show students these texts and videos during the rollout described below, but you will obviously need them in order to write the exemplar. Also, depending on timing, you might want to model with these texts first, then use the #2 materials more for the “We Do” work. Sample Writing Prompt #2: You create this based on current/forthcoming content. Sample Exemplary Response #2: You can write this A) in advance for reference, B) on the spot with the students, or C) not at all: just have students write it. See below to decide. First Text for Prompt #2: You select this based on current/forthcoming content. and be sure you have the one that corresponds to the grade you teach (They are pitched to grades 3, 4-5, and 6-11). Show students Sample Writing Prompt #1 and note that it appears in two parts (preliminary language and a later elaboration). Show Sample Exemplary Response #1 so that students can see what the final product should look like. Show students the Generic Template for the research writing task for your grade level, noting that the language is predictable, so once they’ve seen a few of these, they will become more comfortable with the task. Today you will research _____________ [topic, e.g., Colonial Americans’ quest for freedom] and consider texts and videos to support different purposes. First you will read a passage that _____________. Next, you will watch a video clip about ______________. Finally, you will read a text that explains how ____________. As you review these sources, think about the purpose of each and the role that explanations, descriptions, and arguments play in communicating that purpose. At the end of the task, you will be asked to write an essay…. THEN: You have learned about _________ [topic, e.g., Colonial Americans’ quest for freedom] by reading two documents, ___________ and ___________, and viewing a video clip titled ___________.In an essay, compare the purposes of the three sources. Then analyze how each source uses explanations, descriptions, and arguments to help accomplish its purpose. Be sure to discuss important differences and similarities between the information gained from the video and the information provided in the texts. Support your response with evidence from each source and explain the evidence. Make the pitch that it’s important to annotate the prompt so that we can annotate the text as we go and save time because then we won’t have to re-read each of the texts 4 times. Then model how to paraphrase/unpack the directions for Sample Writing Prompt #2. If time permits, dive into annotating the First Text for Prompt #2. Step #1: Electronically highlight the arguments/main ideas/topic sentences and relevant evidence. The online PARCC assessment includes a highlighting tool with four color choices. I recommend green for arguments (“Go forward with your argument; go green.”) and yellow for relevant evidence (because it’s bright and easy to see when skimming). Make the pitch that highlighting will enable students to skim quickly and find information they need to review when writing, so they won’t have to read every word of every text multiple times. Step #2: Many research writing tasks require students to compare and contrast three different texts. Unfortunately, Venn diagrams are not well-suited to this purpose. Would you want students taking notes in a chart like this? Invite students to help you annotate the Second Text for Response #2 and take notes on the 3-column chart. Day 2 was about modeling (“I Do”). Now you can move into the “We Do” phase. Model how to analyze the Video for Response #2. Because it’s a different genre of text, you need to go back to “I Do.” Explain HOW to analyze video; do not assume students know what to look for or how to take notes on what they are looking at. As you move into writing based on the notes, revisit Sample Exemplary Writing Response #1 and explain how the parts of that essay work (i.e., that the introduction responds to the question, includes a thesis, etc.). Invite students to help you explain how each part of the essay functions and let them critique the piece in relation to the PARCC Writing Rubric: What score would they give it, and why? Then you have several options: 1) Hand out your pre-created Sample Exemplary Response #2 and invite students to explain how it accomplishes the task and meets the criteria for the PARCC Writing Rubric. 2) Conduct the writing process as a “write-aloud,” inviting students to help you compose. 3) Let students try to write their own. What you do next will depend on your last decision. One thing is for certain: a major next step is to give students a fresh prompt and texts (including, of course, two nonfiction pieces of writing and one video clip) and let them work through the entire process on their own. Please feel free to reach out to me if you have any thoughts, suggestions, or questions! This entry was posted in Annotation, Argument, Assessment(s), DBQ Approach, ELA Common Core Standards, Evidence, Explanation, Genre, Main Idea, Media Literacy, Nonfiction, PARCC, Research Writing, Resources, Rubrics, Skimming, Test Prep, Thesis Statements, Topic Sentences, Writing and tagged Annotation, Argument, Assessment(s), ELA Common Core Standards, Evidence, Explanation, Lesson-planning, Main Idea, Media Literacy, Nonfiction, Paraphrasing, PARCC, Research Writing, Resources, Rubrics, Test Prep, Topic Sentences, Writing. Bookmark the permalink. Hi – I love your blog! Do you have any guidance on how long the essays for each task should be? Thanks! I am adapting some of your work for a PD session (with credit to you, of course). Hello, I am so glad I found this blog. I recently moved to a state that administers the PARCC test. I am not new to testing or even testing essays, but I am new to the format of reading/ listening to different mediums writing about that. I am in charge of the writing plans for my grade level (5th) and want to help students be successful. Is there PD available for PARCC writing? What about lessons or curriculum that helps students?